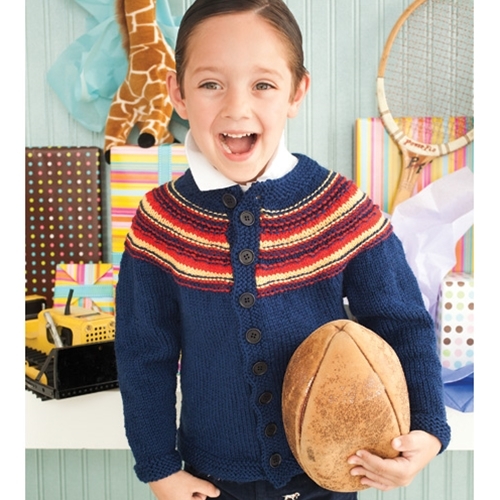 Bright rings of primary colors travel around the yoke of this snuggly button-down cardigan. Sized for Child 2, 4, 6, 8, 10. Shown in size 6. 16 sts and 20 rows to 4"/10cm over St st using size 8 (5mm) needles.